Gauging by many of the investments in my portfolio, Assessing value isn’t my strong point. The same holds true for the emphasis I place on my relationships. The most important non-renewable resource I know of is time . I understand it’s limited and finite, yet I squander it frequently. I don’t “charge” people enough for my time. When I say charge I’m not only talking about money; I also mean the currency of loyalty, reciprocity, respect and dependability. I don’t value my own time enough so how can I expect others to value it in a manner I see fit. In my professional life I’m learning to discern between the activities that are worthy of my time vs. wastes of my time. In the past, I would kill myself, without hesitation, to perform menial tasks without taking into account the limited return on time invested. I felt it needed to be done right away and if I didn’t do it no one would. This isn’t the case. I can’t be lazy and put things off for no good reason, but not everything requires my attention at that moment. In partnership and salary negotiations I came in meek and got taken. I was a partner in a night club several years back. I was 26 when I first invested. I didn’t understand the way these negotiations worked. I allowed the partners who were raising capital to value my points without contest. They told me what they wanted to charge and I wasn’t comfortable enough in valuing my resources that I agreed. I never went back with a counter offer. Hell, I almost allowed them to raise the original valuation and charge me more for no other reason than they hadn’t budgeted the build out costs correctly. I used to constantly answer certain individuals texts and emails immediately. No matter what I was doing I stopped and made sure I was available to them. I would get sidetracked with trivial conversations. But I was concerned it was urgent and I needed to put my needs on hold for the needs of others. I wouldn’t be able to continue with whatever I was doing until I responded. I’ve learned a text or e-mail is rarely dire. If someone requires my immediate attention they usually call. Its been difficult to create the habit of responding to others in a timely manner that doesn’t interfere with my task at hand. If you are going to enter a relationship of any sort, your value must be accepted and appreciated or you have to make a change. There are times when you will be undervalued, but still want to be a part of that relationship. During those times, only put in what you are willing to lose. If you give your full value expecting others to change and value you more, you will end up frustrated and resentful. If you know what you are worth, then go out and get what you’re worth. For some reason we fear demanding what we deserve and we settle for less. 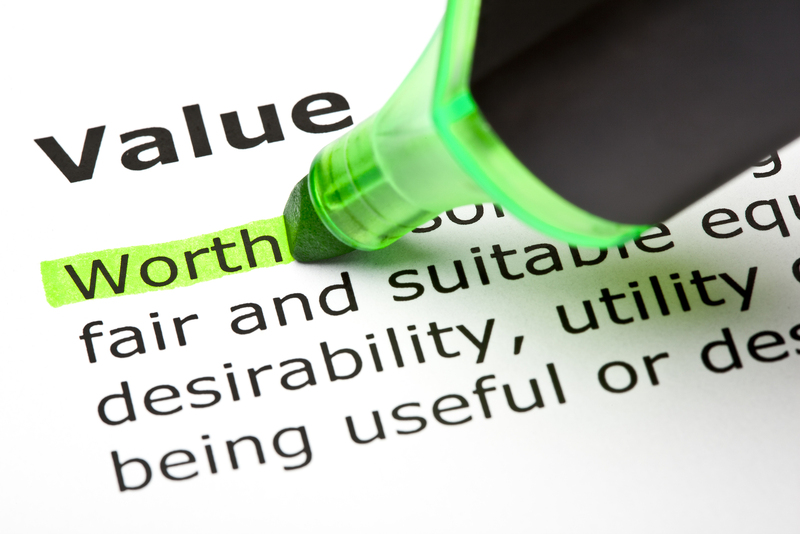 Understanding your value and presenting it to the world in all your affairs is the way to mitigate making poor decisions with your time. You need to be comfortable and confident in what you bring to the table. Only then will others respect your value and give you back what you deserve. Next post: Can We Share a Port-o-Potty?